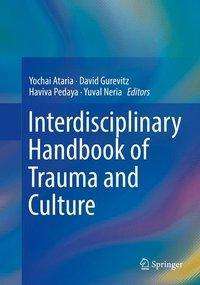 Der Artikel Interdisciplinary Handbook of Trauma and Culture wurde in den Warenkorb gelegt. Ihr Warenkorb enthält nun 1 Artikel im Wert von EUR 90,66. This lofty volume analyzes a circular cultural relationship: not only how trauma is reflected in cultural processes and products, but also how trauma itself acts as a critical shaper of literature, the visual and performing arts, architecture, and religion and mythmaking. The political power of trauma is seen through US, Israeli, and Japanese art forms as they reflect varied roles of perpetrator, victim, and witness. Traumatic complexities are traced from spirituality to movement, philosophy to trauma theory. And essays on authors such as Kafka, Plath, and Cormac McCarthy examine how narrative can blur the boundaries of personal and collective experience. - From Hiroshima to Fukushima: comics and animation as subversive agents of memory in Japan. - The death of the witness in the era of testimony: Primo Levi and Georges Perec. - Sigmund Freud's Moses and Monotheism and the possibility of writing a traumatic history of religion. - Placing collective trauma within its social context: the case of the 9 / 11 attacks. - Killing the killer: rampage and gun rights as a syndrome. This volume appeals to multiple readerships including researchers and clinicians, sociologists, anthropologists, historians, and media researchers.